The Blue Zone diet is something that I have been recently obsessed with. I bought some red wine that is local to Sardinia which is one of the Blue Zones and ordered some honey and tea that people in Ikaria Greece drink and eat every day. They spread the honey on bread and drink a large amount of the tea every day that is grown in the mountains. 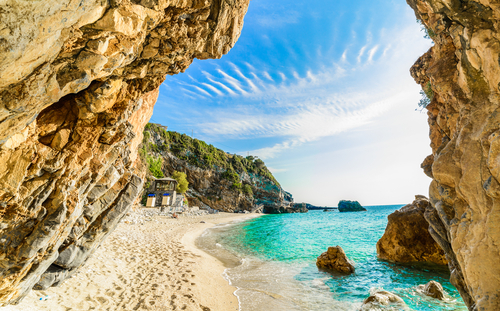 In sardinia, they drink their local wine made from Canneau grapes and eat mainly vegetables, pasta and beans. There are more people who are living to 100 years old today, but most of these people are living in areas that are classified as Blue Zones. 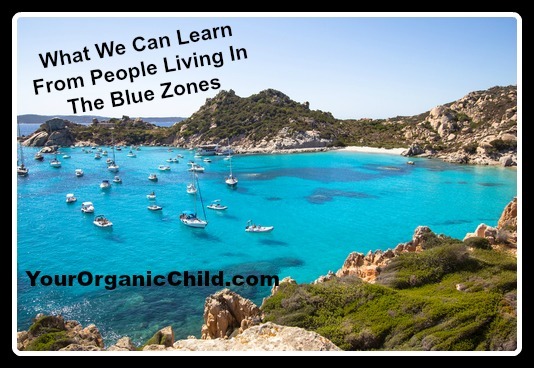 There are five Blue Zones in the world, which are Sardinia,Italy, Ikaria,Greece, Okinawa,Japan, Nicoya,Costa Rica, and Loma Linda, California. The diet that most people eat in these areas is very similar, along with their quality of life. Making changes to your diet, exercise routine and overall lifestyle can help you live a long, healthy, enjoyable life. The Blue Zone diet is not like most other diets that you hear about. There are no restrictions about what you can eat, but there are foods that are very rarely eaten by people who live in Blue Zones and follow the diet, which include processed foods and artificial sweeteners. However, there are some foods that are very popular in Blue Zone areas that you should think about adding to your diet. Tofu is a great meat replacement that you can add to your diet if you are not a vegetarian or vegan. It is high in fibre and protein, but is not high in calories. People who live in Japan eat a lot of tofu. Miso soup is a common dish that is eaten with most meals, which is made using tofu and red bean paste. Beans are a staple in just about every Blue Zone diet. This is because there are so many types of beans that are grown in these areas. Beans are also very affordable. If you are looking for good beans to add to your diet soybeans, chickpeas/garbanzo beans, sweet peas and green peas are all good options. Dark green cruciferous and lefty vegetables are very popular in Blue Zone areas. The most popular options are kale, broccoli, and spinach. These foods have high levels of antioxidants and have been said to reduce the risk of cancer. Most natural dark green foods are also labeled as superfoods. Most times, grapefruit, oranges, and other fruits that have a bright color usually have very high levels of antioxidants. Antioxidants help the body flush out any toxins that are in the bloodstream and the organs. Orange fruits are not the only foods that you should be adding to your diet. There are many vegetables that are orange, which include sweet potatoes, carrots, and pumpkins. These orange foods can improve your beta-carotene levels, which helps your eyesight and your immune system. There are many people who avoid nuts because of allergies. Nuts have also gotten a bad rap because they are high in calories and fat, but the fat that is in nuts is monounsaturated fat which is the healthy type of fat. Nuts are full of protein, fiber, vitamin E, and magnesium. There are many great options to pick from and you can easily snack on them during the day. If you are worried about the high calories, you should measure out the nuts before eating them. Fiber is something that many people forget about when they are creating a diet that they are going to be eating for a long time. Most of the time, fiber is easier to get than you may think. Oats, brown rice, quinoa, and many other grains are full of fiber. Fiber is important for digestion, helps improve heart health and it can also control cholesterol levels. Oil is something that is over-used in most diets. However, if an oil is healthy will depend on what it is made from. When you are looking for olive oil, you should be looking for green extra virgin olive oil. There are other types of olive oils on the market, so you will need to be careful when you are buying a bottle of it. Olive oil can be used in place of other oils, so it is easy to add it to your diet. Fish is a staple for most people who are living in Blue Zones, but it can be a risky food to add into your diet. There are many types of fish that are high in mercury, so you should avoid eating these types of fish. Tea is one of the drinks that you will see people in Blue Zones enjoying regularly. This could be black, white, or green tea. Most of the teas that are people in these areas drink are not highly caffeinated, and are usually enjoyed with a meal or just afterward. Most teas that people drink in these areas are high in phytochemicals, and antioxidants, which have been said to reduce your risk of cancer. This is one treat that people living in Blue Zones enjoy on just about a daily basis, but you should only be enjoying one or two glasses of wine a day. The best option is to drink local, organic red wine, because pesticides are used on many of the grapes that are used to make wine. Even if you are not going to add the top Blue Zone diet foods to your diet, you should be limiting the amount of processed foods that you have in your diet. The best option is to completely cut out processed foods from your diet. The Blue Zone diet has very little sugar, artificial ingredients, and pesticides in the foods, especially compared to the standard North American diet. This does not mean that you should not treat yourself, but you should think about what treats that you are enjoying. Many people living in Blue Zones treat themselves with one or two glasses per day of local antioxidant-rich red wine, or simple desserts like fruit and local cheeses. Packaged baked goods, candy bars, and sodas are not part of their diet. In North America and many countries, it is very easy to find meals and snacks that are already prepared for you. Grabbing these items can be very easy, but they are mainly full of empty calories and are not healthy. The Blue Zone lifestyle does take some time to adjust to. One of the main things that you will need to adjust to is preparing your own meals. Preparing your own meals could take a lot of time, depending on what you are cooking. Doing the prep work when you have time and storing your ingredients correctly can save you time. Meal planning can help you know what needs to be prepared, and what you need for the week. There are some meals and snacks that take almost no or very little time to prepare. The Blue Zone diet is similar to the Mediterranean diet. This diet has become popular because more people from these areas are living to the century mark. The Blue Zone diet is a great option, especially if you want a healthy diet that is easy to follow and does not restrict you from the foods that you love. This diet can help improve your health because it focuses on eating healthy and local foods with very little red meat. Below are some of the food and drinks that are from Blue Zones. The wine I mentioned is Canneau de Sardinia. It can be found at a local wine seller or can be ordered from them.